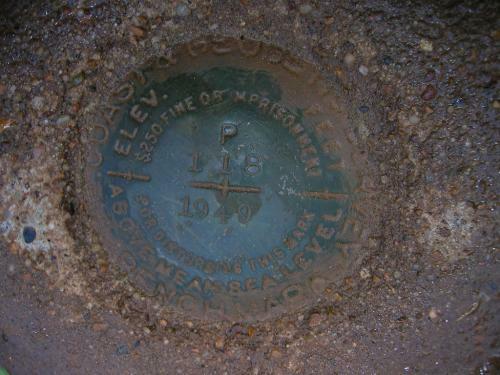 DESCRIBED BY COAST AND GEODETIC SURVEY 1950 2.4 MI SE FROM OKALOOSA. 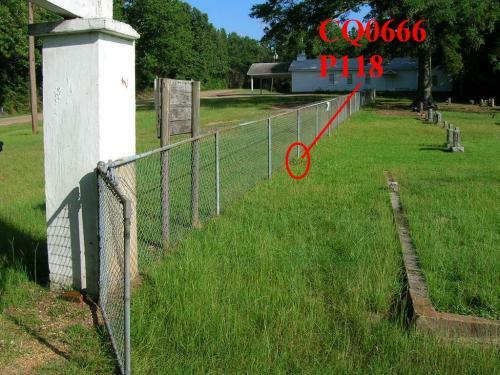 1.5 MILES SOUTHEAST ALONG A PARISH ROAD FROM THE OKALOOSA SCHOOL AT OKALOOSA, THENCE 0.9 MILE SOUTH ALONG A PARISH ROAD. 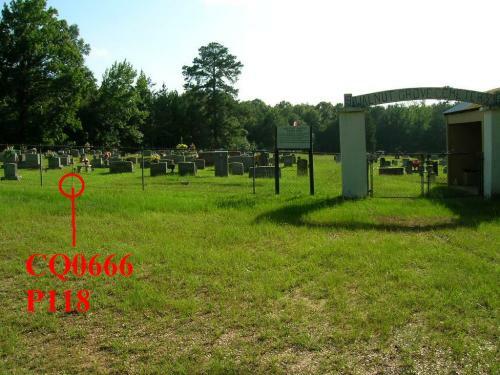 AT A CEMETERY, 71 FEET WEST OF THE CENTER LINE OF THE ROAD, 32 FEET SOUTH OF THE CENTER LINE OF A GATE, 1 FOOT EAST OF A FENCE, 1.2 FEET NORTH OF A REFERENCE POST, SET IN THE TOP OF A CONCRETE POST PROJECTING 0.2 FOOT ABOVE THE GROUND. RECOVERY NOTE BY US GEOLOGICAL SURVEY 1977 MARK NOT FOUND. RECOVERY NOTE BY US POWER SQUADRON 1990 (GW) MARK NOT FOUND.